PUBLISHER WES RAYNAL: Few people I understand like full-size pickups significantly more than me. Oh sure, I'd need some sort of low rider to balance the fleet, but a large truck does most every thing I'd need in an associate of my own fleet. The remainder of the truck's knowledge is all good; just like I've grown used to with F-150s. The trans is easy and the steering appropriate. A few of the buttons are tricky and small (for instance, the buttons), but I guess I'm getting used to them, as I said. The chairs are exceptional. With that said, I do not really get EcoBoost. Yes, the energy can there be and, based on Ford, therefore is the torque, for stump-pulling and towing and such. Can I not achieve that having a V8? Therefore where's the benefit? Not to say I would like only a little V8 roar with my large truck, and this truck doesn't own it -- seems flat. Actually, it seems more diesel than such as for instance a gas engine. Perhaps the mpg advantage is all-out to the highway. Around city, where's the Eco? GOVERNMENT EDITOR BOB GRITZINGER: it may be me, When there is somebody I know who wants vehicles significantly more than Raynal. I discovered the twin-turbo V6 provided sufficient power, but when I possessed it I'd question the energy economy. Simple phone coupling. Easy calling. No problems. And here is a great thing I noticed: Despite the fact that the odometer is definitely an LCD electronic readout, the numbers move over the same as an old-school physical odometer. Good. For this Limited cut, the outside appears good and the inside is outstanding. The cottage is comfortable and large for a general believe is better referred to as useful luxury. For the history, the SVT Raptor is not even close to a normal F-150. 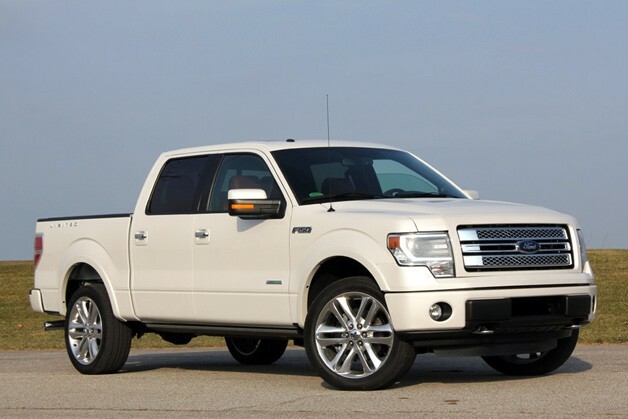 Most surprising about that F-150 is wheels and how it addresses. It's exemplary for this type of large car. Brake reaction is quick and there's a great, firm pedal feel.